Avadi is a suburb city of Chennai and a municipality in Thiruvallur district in the state of Tamil Nadu, India. Situated about 23�km north west of Chennai, it is surrounded by major defence establishments. The neighbourhood is served by Avadi Railway Station of the Chennai Suburban Railway. As of 2011, the town had a population of 345,996. The Heavy Vehicles Factory (HVF) is located in Chennai Avadi. The word 'Avadi' has been considered as an acronym for "Armoured Vehicles and Ammunition Depot of India", however this fact has no base since, the defence establishments in Avadi were set up only in the 1960s, whereas the town itself had existed long before this happened and with the same name. 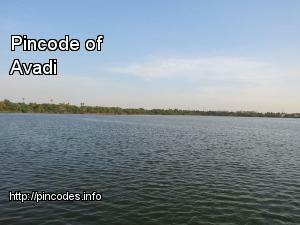 The name Avadi actually means in Tamil 'a place filled with lot of cows' ஆ (Aa) = cow + அடி (Adi) = location.